There are not many places on campus where discussions of getting a green card and gay marriage issues take place simultaneously. However, one discussion series, Global Talks, offered by LGBT student services seeks to foster conversations on LGBT issues for international students. The group meets at 6 p.m. every other Tuesday at La Casa Latino Cultural Center. However, as of now, the club faces low attendance. Five people, including Bauder, came to the gathering Tuesday night. Bauder said part of the reason the group has low attendance is because in some cultures LGBT issues might be taboo, though Bauder said some cultures are less restrictive regarding LGBT issues. Those in attendance represented a variety of perspectives from places including El Salvador, Mexico and Taiwan. Maestre, from Ecuador, said he comes from an accepting, open family. 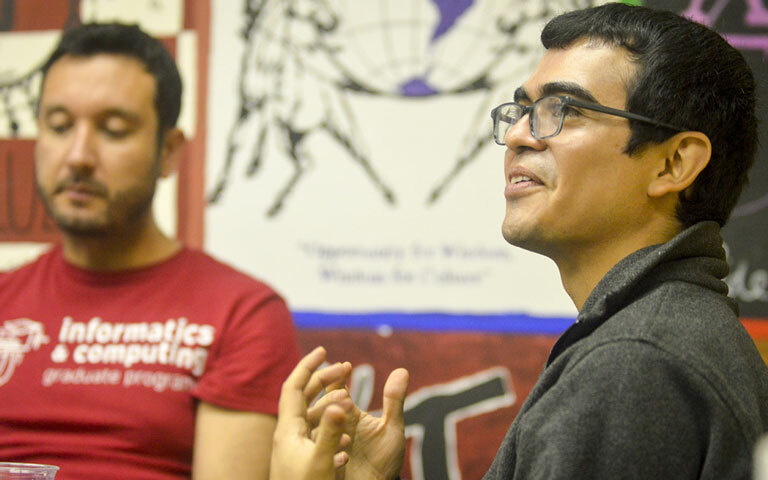 While Maestre has the support of his family, he says he hopes the group can find a way to support people who come from countries where being gay is much more stigmatized or even illegal and offer a place for them to share their stories. Besides acknowledging the needed support, a key issue the group hit on that night was gay marriage at both a local and international level and how it affects citizenship. One attendee, from El Salvador, recently married his partner of more than 10 years and said that getting married also expedited his process of obtaining a green card. He also brought up the challenge of the discrepancies in marital status between the United States and El Salvador. While he is married in the U.S., he said he is unsure if his marriage will be recognized back in El Salvador. This week Bauder ended the discussion by asking what gave attendees hope despite the many challenges LGBT students face. He even told a story about how his grandson showed acceptance of gay people at school.